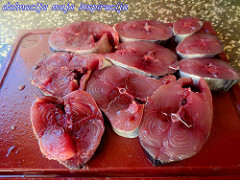 palomida, atún de altura, bonito de altura, bonito de veintre rayado, listado, Cat pelamide, boníto de ventra raillat, L. Katsuwonus pelamis, Eng. 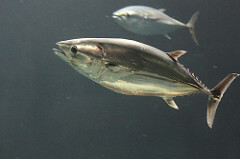 skipjack tuna, striped bellied bonito, striped bellied tunny. It is a dark purplish blue fish, with a silvery belly and lower sides. It has four to six longitudinal dark bands. It is about 108 cm long and weighs between 32.5-34.5 kilos. It is a migrating fish found in the Pacific and the Atlantic living in tropical and warm temperate waters but not in the Black Sea. It swims in schools and is caught with a hock-and-line or with nets. The Medieval Spanish Chef’s additions. Scale and clean tuna. Cut it into rounds four fingers thick. Grind pepper, ginger, salt and saffron if desired. Sprinkle the fish with this seasoning. 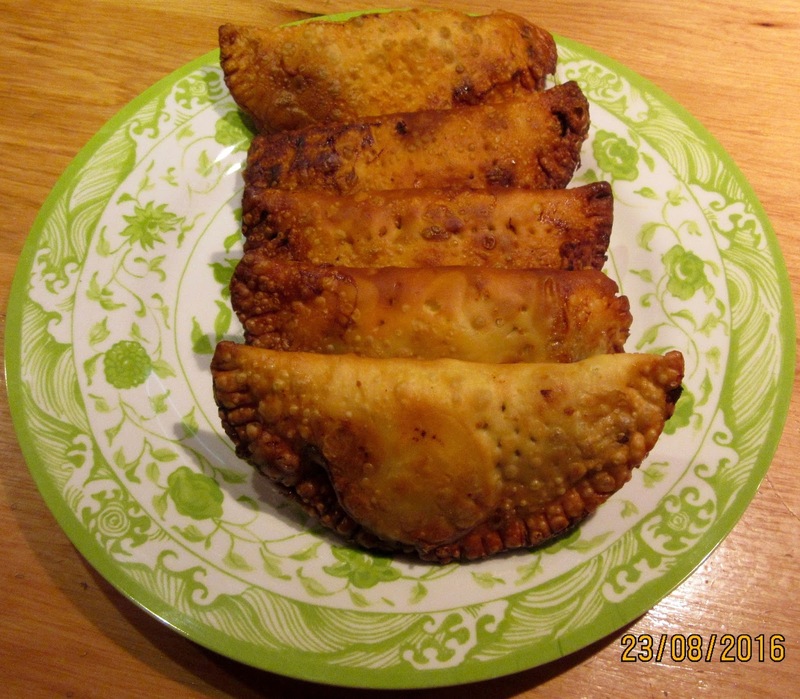 Make turnovers large enough to hold a round of tuna. Place one round of tuna in each turnover. Paint the edges of the dough with egg and seal it shut. Paint each turnover with olive oil. Cook 10 minutes on each side or until done. Nola advises that the best time to eat tuna fish is in the month of March.